DataBit Managed Services (DBMS) offers best-of-breed consulting services using our proven and mature program management methodology. Our collaborative team-based methodology emphasizes risk management, change control and milestones. We understand that it takes more than technical expertise to make large-scale corporate projects successful. It takes an in-depth understanding of a client’s individual business process, organization and operations. Comprehensive documentation and knowledge transfer are critical aspects of each project. What is left behind for the client is more important than what is done. Without good documentation and knowledge transfer, it is difficult to assess the project or support the infrastructure. 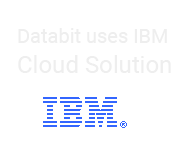 DataBit Managed Services (DBMS) ensures best practices in provisioning and managing effective IT services by utilizing ITIL principles for IT Service Management (ITSM) for both service delivery and service support. DataBit Managed Services (DBMS) provides IT support that is flexible, customer focused and tailored to each client’s business demands. We provide consistent service levels, are highly responsive to client needs, and can rapidly adjust services to accommodate changing business requirements.